With the increased urbanization and residency of Macomb Township, comes the need for more lawn care and landscaping services. Fert-Scape Inc. is proud to add residents of Macomb to our growing clientele base. We look forward to continuing to work with the property owners to maintain the natural beauty of these neighborhoods and business districts. In 1831, the area that is now Macomb Township was settled by migrants. Attracted by the Clinton River, the settlers were looking for an ideal place to set up their farms. The land turned out to be exceptionally fertile, and the farms and settlement were firmly established. Just three years later, in 1834, the region was formally incorporated as Macomb Township. It was named in honor of Alexander Macomb, a decorated general in the War of 1812, and a recipient of the Congressional Gold Medal. The county in which this township resides gave itself the same name, permanently memorializing the general. The township continued to build itself on its agricultural products, for both food as well as trade. The fertile, level soil that was kept moist by the Clinton River made the farmers’ jobs easy. Today, the staff at Fert-Scape Inc. continues this tradition of cultivation in the form of turf and other plant life on the modern residents’ landscapes. In the middle of the 19th century, the economy of Macomb Township began to diversify, as sawmills were built to accommodate the increased demand for lumber, as the Metro Detroit area began to develop at a more rapid pace beginning with the Industrial Revolution. After the turn of the 20th century, the township also became known for its recreational spots. Saloons, dance halls, and movie theaters began to pop up over the area, providing the residents and visitors from the surrounding area a place for evening recreation after a hard day’s work. The growing industries in Macomb Township paved the way for further diversification into retail and service based industries. Two old establishments, Dobb’s General Store, opening in the early 20th century, and Goldie’s Saloon, opening in 1874 as one of the town’s earliest bars, still stand today in their same location. Macomb Township has undergone a population boom beginning with the turn of the 21st century. From 50,477 at the 2000 census, to 79,580 reported at the 2010 census, it has an estimated 2015 population of 86,973. It is currently Michigan’s most rapidly growing major municipality. The residents have 36.3 square miles within their borders, of which 0.04 is water. Within the borders of Macomb Township are three unincorporated communities – Macomb, Waldenburg, and Meade, located in the northwest, central, and northeast portions, respectively. In regard to public schools, Macomb Township does not have its own independent district, but its children attend the districts of L’Anse Creuse, New Haven, Utica, and Chippewa Valley, depending on which section of town they reside. The two most notable parks in the township are Macomb Corners Park, and Waldenburg. Macomb Corners covers 94 acres, approximately a third of which are developed, so it is great for nature observance. The developed areas are geared towards both sports and leisurely activities. The park also hosts two major annual events – Movie Under the Stars and the Summer Concert Series. Waldenburg is a smaller area of 17 acres, featuring a trail, picnic areas, several playgrounds, a basketball court, and a pavilion. 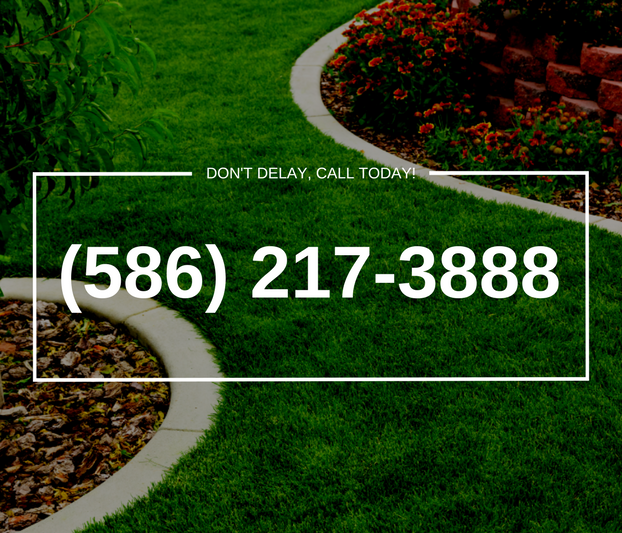 Both parks are a perfect picture of natural scenery, of the caliber that Fert-Scape Inc. can duplicate at your home or business with our lawn care and landscaping services. 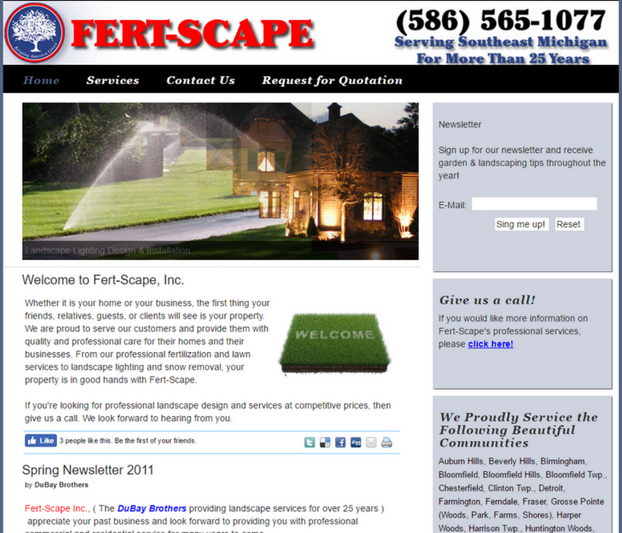 Fert-Scape proudly serves Sterling Heights and surrounding areas. Watch this video for tips on how to take care of landscape. Join us on social media to see exciting offers and updates from Fert-Scape Inc..